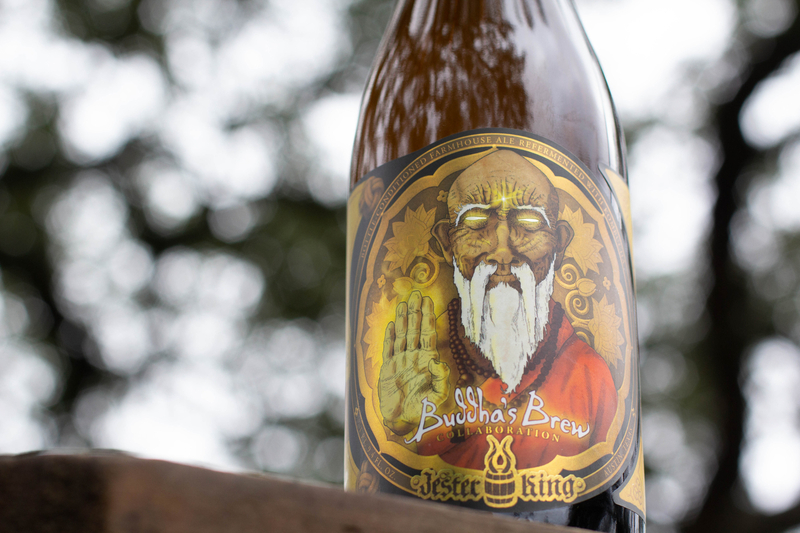 This week we'll be releasing our third-ever batch of Jester King Buddha's Brew — our farmhouse ale blended and re-fermented with Buddha's Brew Kombucha tea! 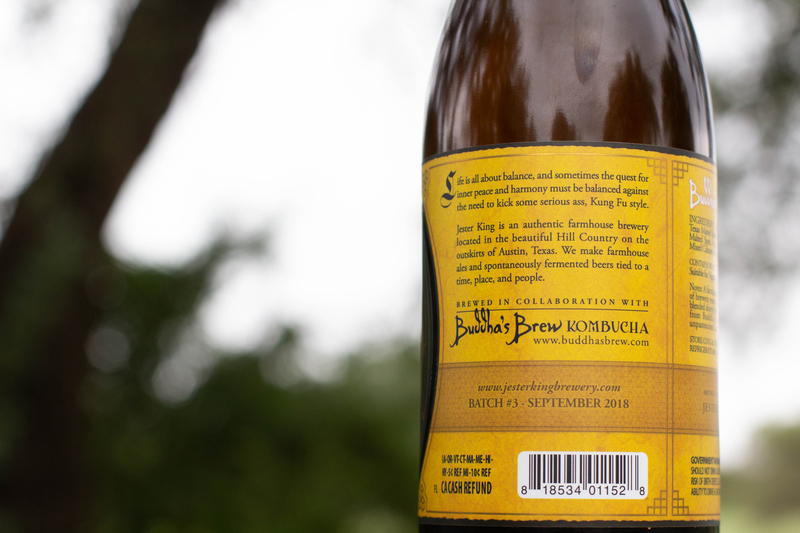 What would later be called "Jester King Buddha's Brew" was one of our first-ever test batches. In 2010, we took some of our homebrew and blended it with kombucha tea from Buddha's Brew at about a 10:1 ratio. The idea was to see how the microbes in the beer would interact with the microbes in the tea. It's fair to say the plan was to inoculate the beer with the tea and see what would happen. 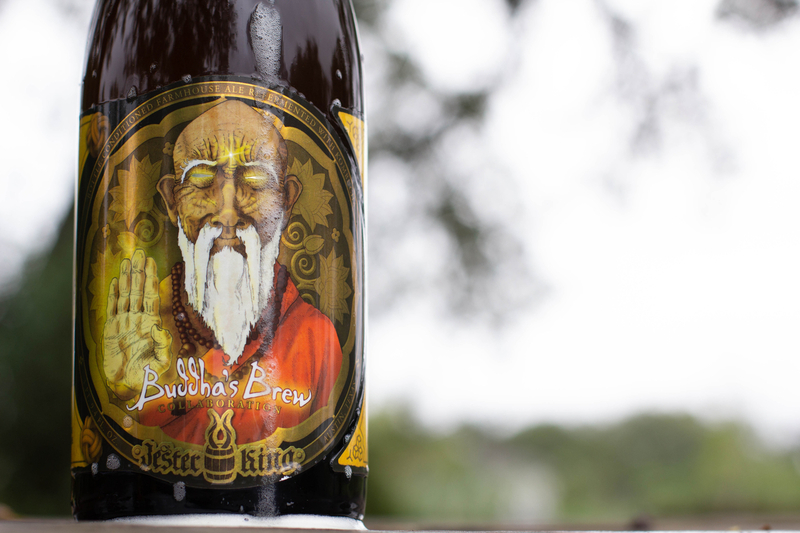 We loved the test batch and decided to make Jester King Buddha's Brew a reality. Batch three was brewed in July, packaged in September, and is 3.5% ABV. After primary fermentation, we added Buddha's Brew Classic Kombucha (aka the "raw buch") to the beer (about 15% by volume). After letting the microbes intermingle, we packaged the beer and allowed it to naturally referment in bottles and kegs. Unfortunately, during the refermentation the beer got a little lively and foams over the mouth of the bottle when opening. For this reason, we've decided to only serve batch 3 on draft. 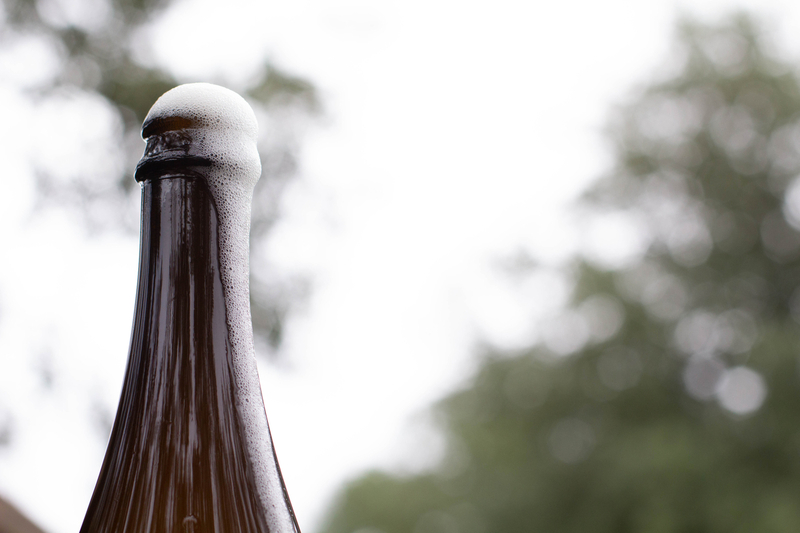 While it's fine (in our opinion) for farmhouse ales to be a little rough around the edges at times, the beer should stay in the bottle when it's opened! Mild or gentle foaming is one thing, and sometimes comes with the territory of natural refermentaion with live microbes. But when the beer "gushes" or excessively foams, it takes away enjoyment, makes a mess, and simply is not good quality (even if the beer tastes great). For this reason, we've sadly decided not to release the bottles of batch 3. Rather, batch 3 will be draft only starting tomorrow (11/16) at Jester King. We're excited that the wonderful folks at Buddha's Brew will be onsite at our tasting room this Saturday (11/17) to sample their Kombucha! We've known Buddha's Brew for nearly a decade. They're a true Austin original, make wonderful, authentic kombucha with a lot of love put into it. They're also about as kind of people you'll find, so come out, meet them, and enjoy their kombucha along with Jester King Buddha's Brew!